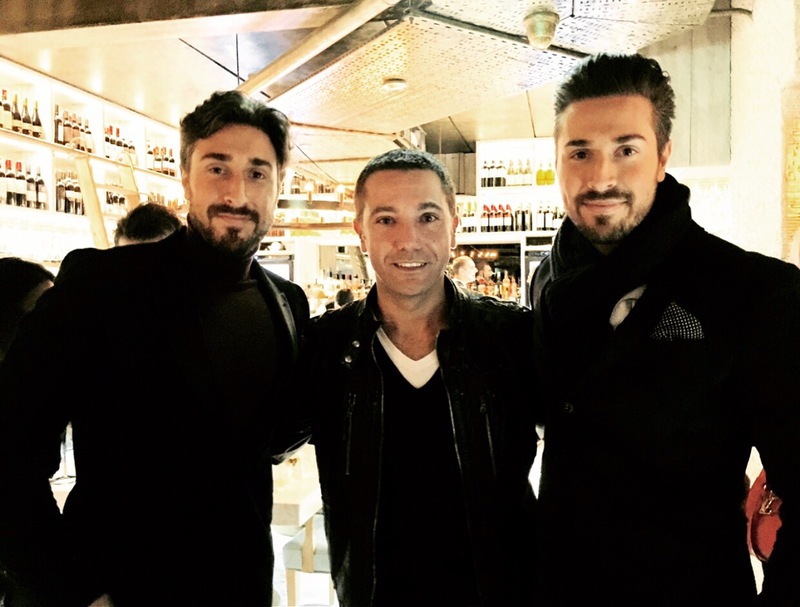 Gino D’Acampo – My Restaurant – Corn Exchange, Manchester. Located in Manchester Gino’s seats 250 guests and offers a seat at cicchetti bar, with the addition of a large outside area, which leads onto the bustling Exchange Square, facing high end retailers Selfridges and Harvey Nichols. Diners will also have the option to dine in or takeaway, ensuring that local city centre residents have a new high end takeaway option to add to their speed dials. We visited this week for lunch and we were delighted with the place. As you walk in you are greeted by the amazing staff and instantly get the feel of Italian style. The restaurant has great comfortable seating with booths and eye catching decor and very Italian, as it should be. The staff are amazing and attentive and looked after us very well. 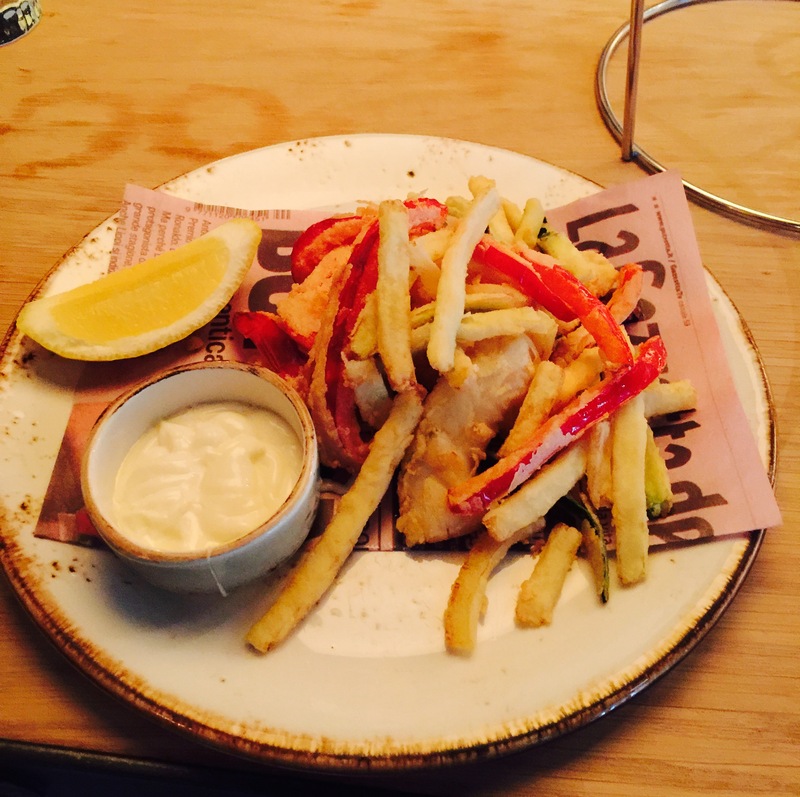 So for starters we had, Calamari with a garlic mayonnaise and lemon dip. We love calamari fritti, it’s our favourite. The calamari was cooked to perfection and fresh. 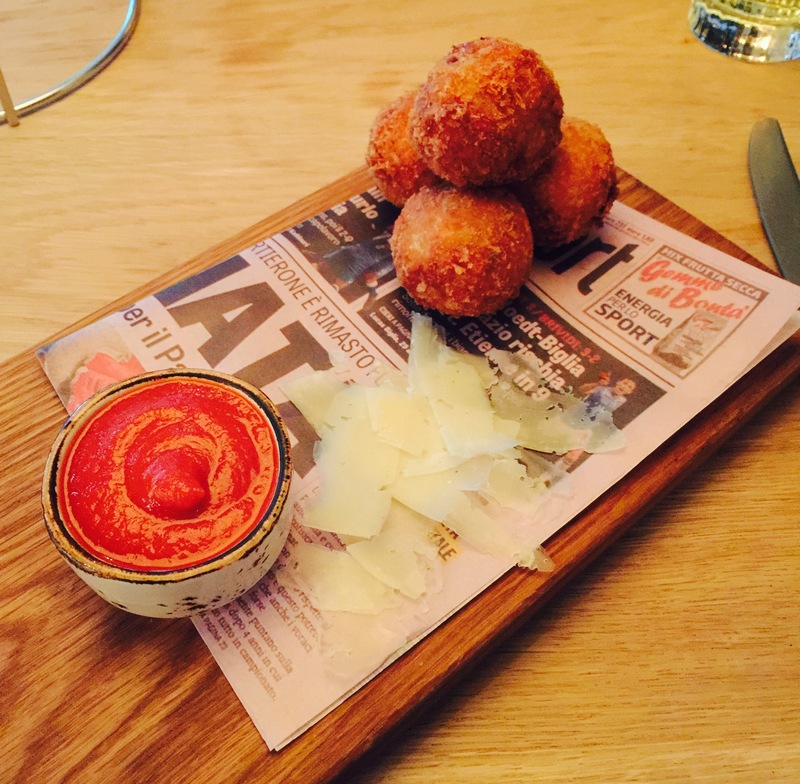 We also had the Arancine, crispy risotto balls, buffalo mozzarella, roast tomato and red pepper sauce. Made to perfection, crispy on the outside, light and fluffy on the inside, just how we like it. For mains we had the Gnocchetti Vongole, sardinian pasta shells with bottarga and clams and Mezzelune with roasted butternut squash and walnuts and pecorino. 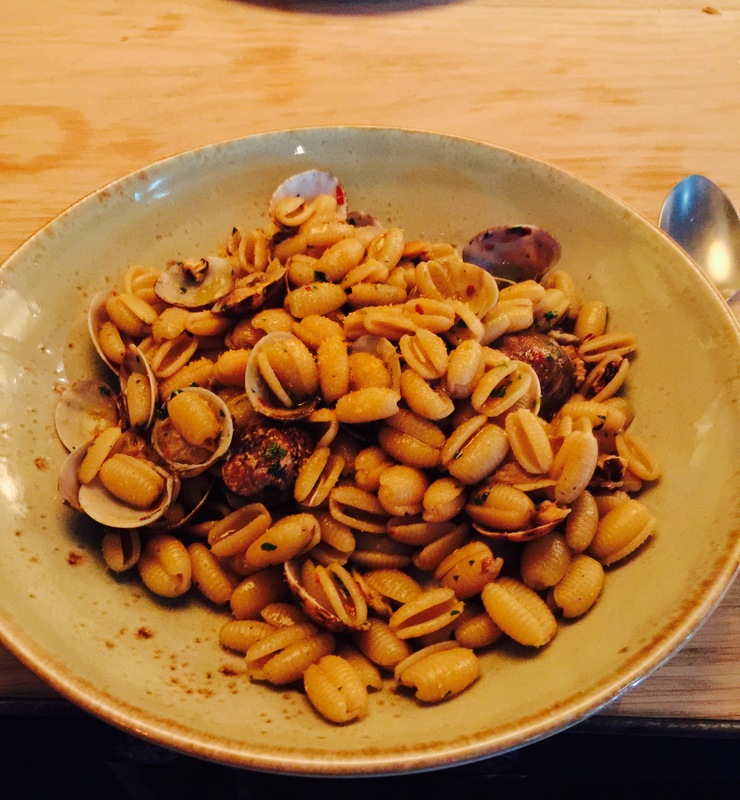 The Gnocchetti was delicious with the clams and had a nice heat to it with a good kick that was very delicate and the clams and bottarga completed the dish superbly. The Mezzelune was soft and light, perfect with a great balance of flavours, which made for a light and amazing dish. We had the Tiramisu and the Orange polenta cake with vanilla ice cream. 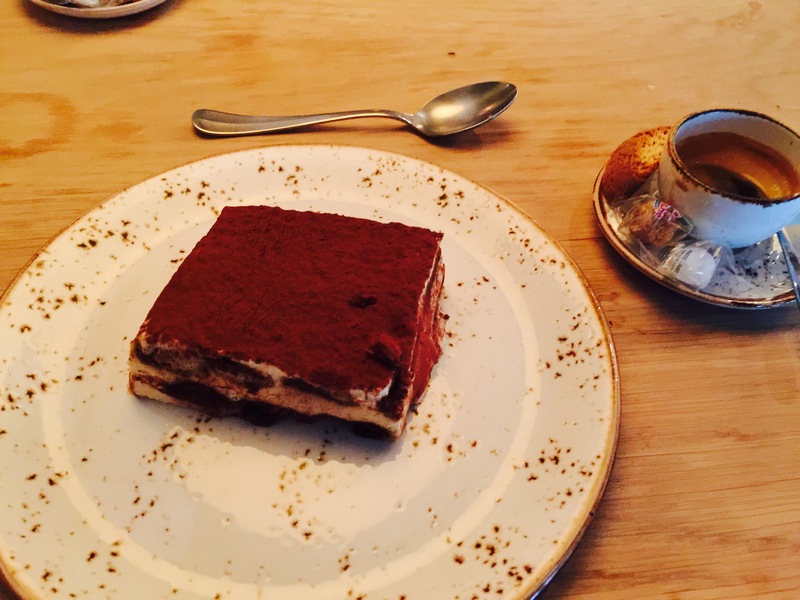 The Tiramisu, which we always order at restaurants as we know how it should be made, was amazingly light and creamy, personally we use Marsala wine instead of Amaretto but both work perfectly well. 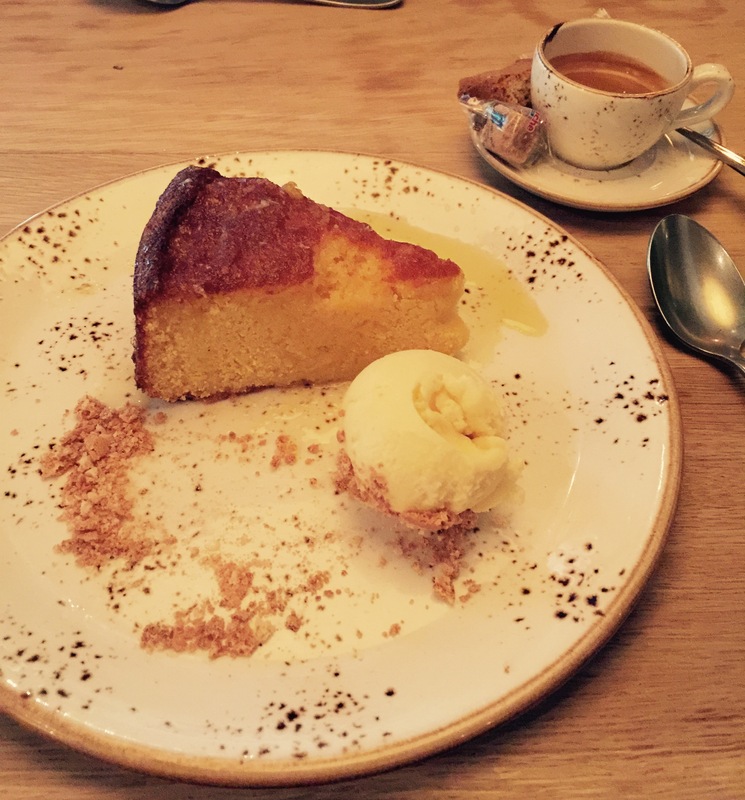 The Orange Polenta cake was outstanding, something a little different, this is a must to try. It is light, moist and full of flavour, with crushed amaretti biscuits to add extra texture. A very well balanced dish. Both highly recommend desserts. Finished off with a perfetto espresso as always. All in all, Gino D’Acampo My Restaurant is beautiful and a must when you’re in Manchester and fancy lunch or dinner. 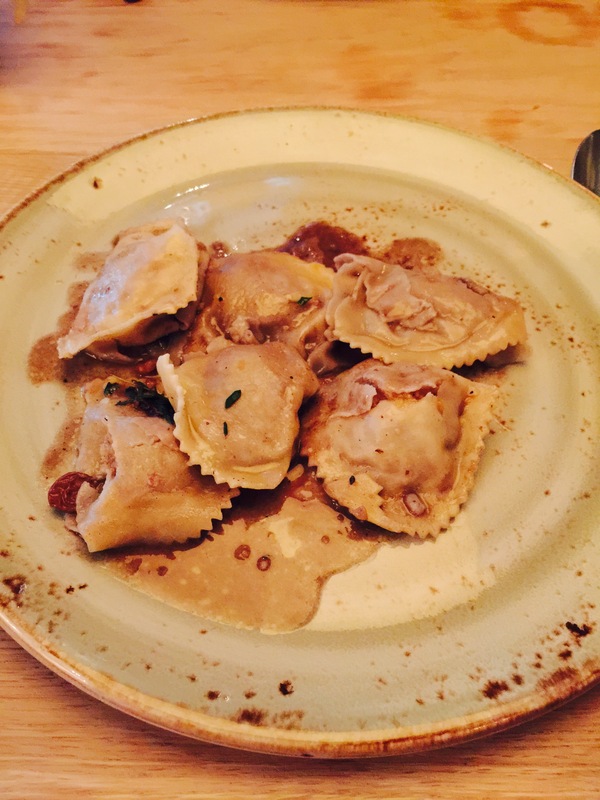 The food and service was outstanding and we can’t recommend this place highly enough.